When the main culprit for murder has the adjective "killer" pre-fixed onto their name, it's hardly going to be the most sophisticated or complex of "whodunits". In the case of Blackfish, a documentary about killer whales kept in captivity, the more interesting questions to ask are "how?" and "why?" 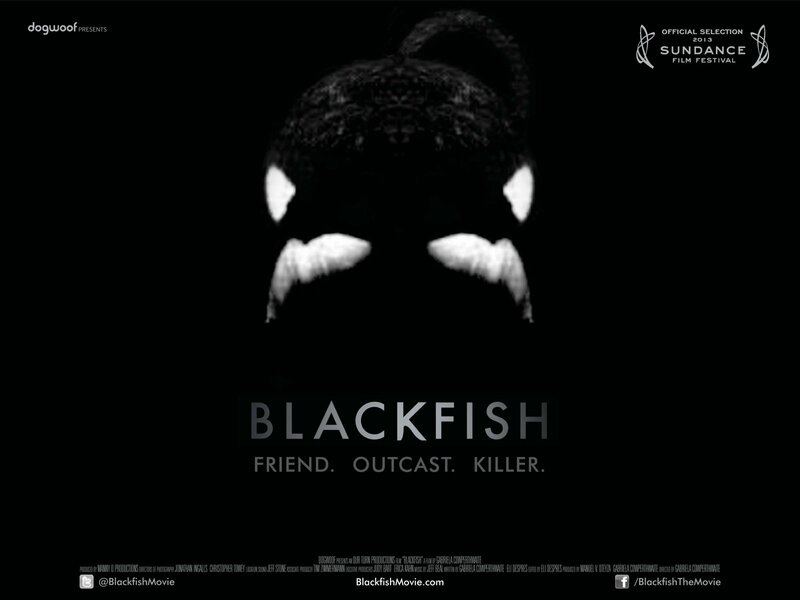 Like all good murder mysteries, Blackfish is centred around a web of lies and deceit - an animal trainer at Sea World has died in what the company's higher ups are referring to as a tragic accident yet, based on witness recollection and poor character references, it would perhaps be more accurate to suggest that murder was the true cause of death. Tilikum, the killer whale who pulled the lady in the water, has had a history of being involved with trainer "accidents" - the question is, what drove the six tonne mammal to lash out in such a way? Gabriela Cowperthwaite's documentary is a peculiar one in many respects - whilst many of the individual scenes, which are made up primarily of talking heads and archival footage, are fascinating to watch given the subject matter, the movie as a whole seems to struggle to know where it's going. Like a sea creature on land, Blackfish flaps around and flops in no particular direction at all. Blackfish sets it's stall early by contrasting antiquated horror movie footage of killer whales, a representation that is suggested to be farcically untrue, with the animals swimming together in one regal, fluid pod. By nature, we are informed, killer whales are highly intelligent, beautiful creatures and it is only through psychosis, created by captivity, that causes them to become vicious. Cowperthwaite muddies the water of her own argument by later suggesting that Tilikum should not have been used as a breeding whale due to his mentality - a state she says has been brought on only due to human treatment. Is she suggesting trauma can be passed on genetically? Or is this hypocritical mixture of the nature/nurture debate just one symptom of a larger problem in this mess of a movie? The problem with Blackfish is that, beyond a compelling subject matter and some incredible archival material, is it simply has no idea of what it is meant to be as a documentary or why. The structure is scattershot, there's simply no reason for the film to be in the order it's in, the tone equally all over the place (is this an Erroll Morris-esque procedural? Or a Michael Moore polemic? Or a traumatic reliving of a series of horrible events? ), and it seems to have had little thought put into any of the cinematic decisions that have been made. Court scenes between Sea World and prosecutors are recreated as sketches of sub-matchstick jurors and we're not entirely sure why this formal decision has been made - it seems to belong to a different film entirely. The only thing we can truly gather from this film is that Sea World's captivity of whales is grotesque - we are shown this early on in the movie, with all subsequent indictments simply acting as padding. 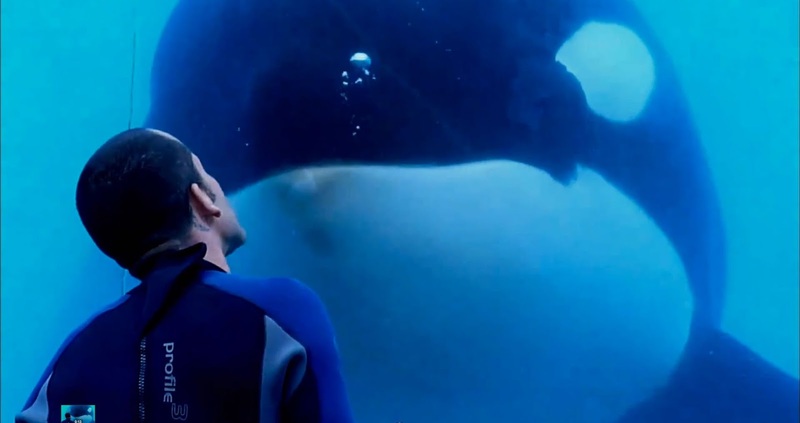 Yet, as mentioned, the subject and available footage make the film almost impossible not to be gripping and visceral within each individual scene even if Blackfish does not connect up entirely across a full feature. We're dazzled by the sights of whales swimming free and wild in nature, horrified by the injuries they give each other in captivity. Video footage shows us a trainer dragged under water repeatedly for minutes at a time and it's impossible not to be staggered and anxious. However, as the film finishes, despite the emotions in each individual scene, the overall feeling is one of disappointment. It's a fantastic story, and with great resources available, it just deserves to be told in a much more rewarding and coherent manner. It's impossible to overstate how much better this could have been with a talent like Werner Herzog behind the lens. * For anybody interested in documentaries dealing with human mistreatment of animals, I'd recommend the languid and delightful Gone Wild instead- a tragic but incredible movie regarding wild horses in Romania . I'm glad the rug get pulled from under this documentary before the Oscars. I'd much rather trust the biologist that work at Sea Wold and other zoos for endangered species than a documentarian and PETA activists.